WARSAW — Poland’s Defense Ministry has launched its much-awaited Regional Security Assistance Program (ReSAP) to help bolster armament efforts of neighboring Eastern European armament efforts by providing The program will use This is to be achieved through government, bank and export loans to purchase equipment, purchases of weapons and through non-commercial transfers of weapons. The move comes as many regional of the region’s countries are increasing their defense spending and announcing new programs following Russia’s military intervention in Ukraine. Poland’s Defense Ministry said that by 2022, the program is expected to boost defense and industrial cooperation with the Visegrad Group countries — which are , in addition to Poland, includes Slovakia, Hungary and the Czech Republic — as well as Romania, Bulgaria and the three Baltic states of , which comprise Lithuania, Latvia and Estonia. The amount of the funds that are to be made available to these countries has not been disclosed yet. One of the first procurements to benefit from the initiative could be Slovakia’s plan to acquire 30 eight-wheel-drive Rosomak armored modular vehicles from Polish state-run manufacturer Rosomak. The vehicle is produced in Poland under a license obtained from Finland’s Patria. Meanwhile, local analysts said the move is part of a comprehensive strategy by Poland to enhance regional defense and security cooperation. "Since the outbreak of the conflict [in Ukraine], Polish politicians have been trying to take charge of the regional response, and use this opportunity to enhance regional defense cooperation," said professor Marek Jablonowski, a political scientist from the University of Warsaw. "There is a noticeable increased focus on security and defense throughout the region, and … the issue is definitely higher on the political agenda than before [the conflict]." In addition to bolstering regional defense cooperation, The program has a second objective of expanding the foothold of Poland’s mostly state-run defense companies abroad. Warsaw hopes to find new local markets for its weapons and military gear, in its neighborhood, as many Eastern European countries have announced plans to raise their defense spending in the forthcoming years. The Polish government is drafting the defense budget for 2016. Military expenditure is expected to rise next year in line with a law passed by the parliament earlier this year. The legislation, signed by the country’s former President Bronislaw Komorowski July 23, obliges the government to raise defense spending from 1.95 to 2 percent of Poland’s gross domestic product. "By caring about improving Poland’s safety, we have increased our defense spending to the level of 2 percent of our GDP, so that the Polish armed forces are increasingly well-equipped," Polish Prime Minister Ewa Kopacz said Sept. 30. This has caused Warsaw to earmark 35.9 billion zloty (US $9.5 billion) for next year’s military expenditure, according to the draft budget. Of these, some 9.69 billion zloty are to be spent on ongoing military modernization programs of the Polish Armed Forces, under which the government aims to acquire new weapons and military equipment. The planned budget Compared with this year’s budget of about 33 billion zloty, the planned spending hike in 2015 would represents an increase of nearly 9 percent. Poland’s military upgrade and overhaul program for 2013 to 2022 is expected to total some 139 billion zloty. In addition to Poland, numerous other Eastern European allies are eyeing higher defense spending boosts in response to Russia’s growing military presence. in Eastern Europe. 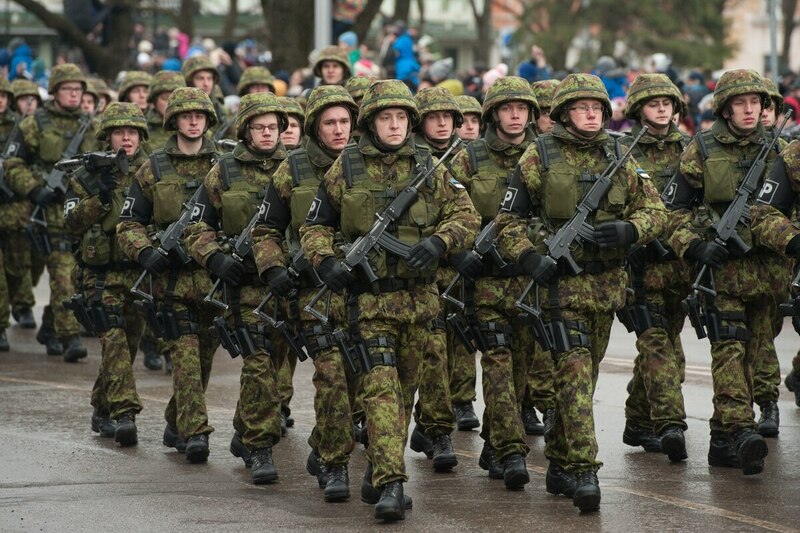 In Estonia, the draft budget for next year foresees defense expenditure of some €449 million euros (US $501 million), up 9 percent compared with the €412 million euros budgeted for 2015. The Estonian Defense Ministry said in a statement that more than one-fourth of these funds, or which translates into €114 million euros, will be allocated to "developing new military capabilities." With its latest decision, Tallinn is confirming earlier plans to expand the country’s military spending to more than budget over 2 percent of Estonia’s GDP. "The stable increase in the defense budget agreed for a long term ensures the development of defensive capabilities and makes it possible for us to respond to challenges posed by the changing security situation," said Estonian Defense Minister Hannes Hanso. "New weapon systems such as infantry fighting vehicles give the defense forces a significant amount of additional firepower and fighting capability." The largest procurement planned for 2016 is the acquisition of 44 CV90 infantry fighting vehicles IFVs from the Netherlands. The deal is estimated to be worth some €25.2 million, euros, and deliveries of the first units are scheduled for the second half of 2016. The vehicles are designed to "significantly increase the defense forces’ combat capabilities," according to the ministry. Last August, the government of neighboring Latvia also unveiled plans to raise defense spending to 2 percent of GDP by 2018. "Defense expenditure is the first indicator that determines whether a state takes seriously threats to its safety," Latvian Defense Minister Raimonds Bergmanis said Aug. 3, as quoted in a statement by the ministry. "I am committed to gradually increase the defense budget." Bulgaria also is Other countries in the region that are intensifying efforts to modernize its their armed forces. include Bulgaria. The government approved a draft program Sept. 30 to modernize and expand the military's capabilities. of the Bulgarian military Sept. 30. By 2024, Sofia aims to raise military spending from the current level of 1.3 percent of Bulgaria’s GDP to 2 percent of GDP. The strategic document also sets the objective of allocating 20 percent of defense expenditure to acquisition, including new weapons and equipment. The draft strategy has been submitted by the Cabinet to the parliament where it will be further debated.